Later this month, 20th Century Fox will bring its X-Men prequel trilogy to a close with X-Men: Apocalypse, which is set in the year 1983. This continues a trend of each movie being set a decade apart, with 2011's X-Men: First Class set in the early 1960s and 2014's X-Men: Days of Future Past set in the 1970s. After X-Men: Apocalypse debuts, we know the studio is developing The New Mutants spinoff, with production set to begin later this year on Gambit. But we don't have any official word about plans to continue the flagship X-Men series. Producer Simon Kinberg recently shed some light on the future of this franchise, confirming that the next movie will be set a decade after X-Men: Apocalypse in the 1990s. Unfortunately, he didn't reveal in his interview with ComingSoon.net if that next project is The New Mutants, which is currently in development with writer-director Josh Boone, or if he's referring to X-Men 7. Back in November, rumors surfaced that director Bryan Singer will be returning to Montreal, where he shot X-Men: Days of Future Past and X-Men: Apocalypse, to shoot an unspecified X-Men movie in 2017, with 20th Century Fox planning a 2018 release date. That report was never confirmed, but just last month, another rumor surfaced that claimed X-Men 7 would reboot the Dark Phoenix saga. The Dark Phoenix saga was told in the original X-Men trilogy, which ended in 2006 with X-Men: The Last Stand and featured the death of Jean Grey. The rumor from a few weeks ago claimed that this new version will be much different than how the story played out in the movies and the original comics, and the events of X-Men: Days of Future Past allows the filmmaker to come in and reboot the story. X-Men: Days of Future Past essentially created a new present day timeline, which brought Jean Grey (Famke Janssen) back to life. While this report was never confirmed, if true, it isn't known if the studio will bring back Sophie Turner, who plays the young Jean Grey in X-Men: Apocalypse to tell this story. If it is set in the 1990s, it certainly would seem likely that the young Game of Thrones star would come back to reprise her role. With just a few weeks left until X-Men: Apocalypse hits theaters, hopefully the studio will shed some light on their plans for the franchise, after that movie hits theaters. As for The New Mutants, writer-director Josh Boone revealed through Instagram last week that his movie will include mutant characters such as Magik, Wolfsbane, Dani Moonstar, Cannonball, Sunspot and Warlock in his superhero lineup. The filmmaker also recently revealed that the second draft of his script is complete, although we don't know when production may begin, or when the studio plans on releasing The New Mutants. 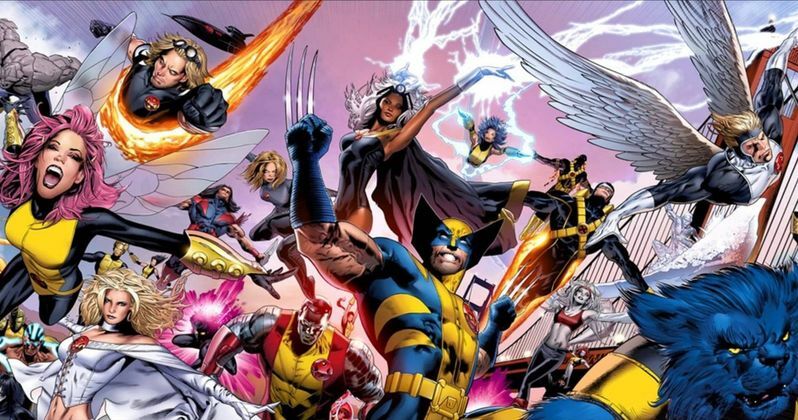 Stay tuned for more on 20th Century Fox's epic X-Men franchise as soon as more details surface.